One element of game time that we often struggle to replicate in practice is PRESSURE. The pressure to get the first serve of the game in, the pressure to make the serve after a teammate has missed, and especially the pressure of serving accurately and aggressively on game point! Few "punishments" can mimic the feeling of having all eyes on you and the pressure you feel to get the ball in. Likewise, few punishments actually feel as bad as missing during a critical time in the match. When you are training a group of players to be elite athletes it can seem like spending time playing games at practice is a waste of time. What we sometimes forget as coaches is that fun is a major component of the learning process.Thinking back on my time as a player I first remember running around laughing with my teammates and playing fun games. Yes, I remember playing hard, training, and running through drills, but the most vivid memories are from when I was playing "deadfish," "the downball game," and more. Summer is officially underway and I've just finished up the second week of my volleyball club's camps! This last week we had a pretty young group (3rd through 6th grade) and I saw a LOT of hitting errors over and over again. 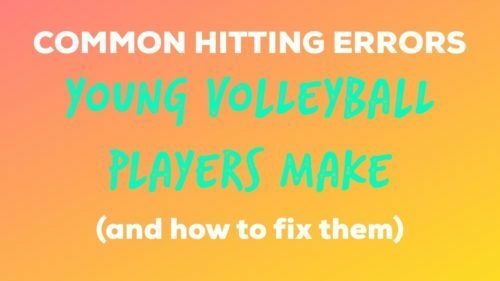 There are a few simple solutions to some of the most common errors, and I wanted to share them with you! 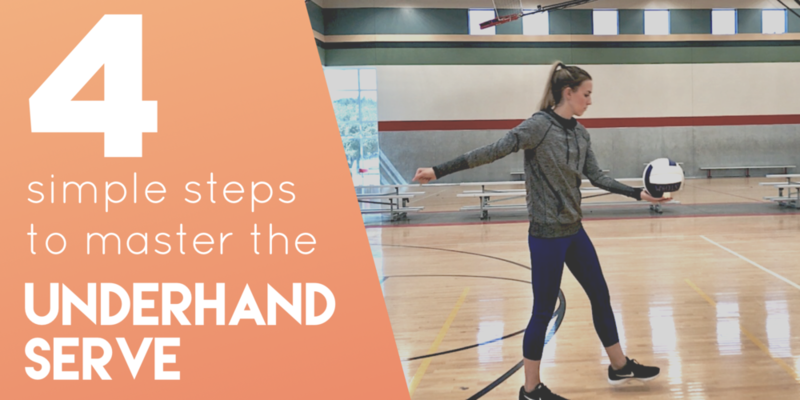 Do you need a quick game to run at your next volleyball practice? This easy serving game will challenge your players to serve to zones without them even realizing that they're learning! Just print out this drill and save it for your next practice. Keep it in your binder as a reminder when you need inspiration! You can make this more competitive by splitting your players up into teams and having them try to go around faster than the other team, going in reverse order, or even giving them a certain order they need to serve in! We've all been there. "Why am I sitting out?" "Why does Sarah start but I have to sub in?" "Why do I never get to serve?" These are all thoughts we probably had as players on one team or another. We usually chalked it up to Sarah being the favorite, or the coach not paying attention to us, or not knowing what they're doing... Yes, those are teenage thought patterns. We didn't often think beyond ourselves, and our parents were (occasionally) right there with us. As a child, my dad was my coach for a lot of my teams, so I usually got to hear him talk through all of the possible game-day scenarios he could think of, and what he would do in each instance. Hitting Lines vs. Defense | Drill Print-Out and Video Description! Hey coaches! I’ve been advertising this drill a ton because not ONLY did I make a video describing the different ways to set it up, I also made a printable version for you! This drill, Hitting Lines vs. Defense, is one of the most versatile drills I’ve covered for you so far. The setup is easy and the concepts are pretty basic, but it’s SO useful! Just because it’s not complicated doesn’t mean it’s not for high-level teams either. Teams at all skill levels can use this drill and it will benefit them. Want the short version? One of the toughest skills I have a hard time creating drills for is setting. When you cover passing and hitting, these are skills that all players on your team will need to use. But setting? Yes, everyone needs to know HOW to set... But they will rarely set from the setting position and would therefore not benefit as much from constant setting drills. HOWEVER! There is something to be learned from practicing this skill occasionally. I'm a big fan of training my players to play every position so that their understanding of the game is pushed beyond the confines of their position (wow, that was deep lol). This drill gives players a good understanding of what it take to be a setter, and will help them see the court from a new perspective. Busy coaches often find themselves heading to the gym without a practice plan. Yes, some of us can get by without a plan, but is that all you want? Just to get by? Take 15 minutes on your lunch break or just before you leave and come up with a plan! Heading to practice with a plan will give you confidence in the skills you're teaching your players. Not only will you run an organized practice, the parents will see that you've shown up prepared and they will place more trust in your coaching abilities. A planned practice will make sure you are not wasting time between drills thinking of what drill to do next. No, practices do not have to be creative, but some thought into the drill progression definitely helps! That's why I created a template for coaches to follow! This will give a quick prompt about the types of drills to run, and all you need to do is fill in the blanks. Wait... it’s over already!? It is amazing how quickly a volleyball season ends! One minute, you’re scratching your head trying to figure out how you could POSSIBLY have 2 more months left (or the 2-3 week range for high school) and the next minute, you’re giving your final “good game” and facing a group of parents wanting details on the end of season party. What do you do? Passing is arguably the most important skill in volleyball. Young players cannot get a rally going unless they receive training, and older teams will struggle to compete against a tough serve or offense without lots of reps and game-like drills. This is why it is so important to teach your team the basics! Give them a good foundation to build from when you teach them how to pass a volleyball. Check out this short video and get started!